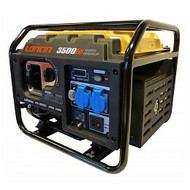 It is lightweight, powerful and incredibly reliable making it the ideal portable generator. 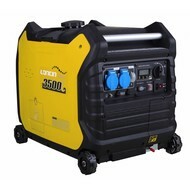 This fantastic generator has a fuel capacity of 4.2 litres and rated output of 1.6kw (120/240V) of continuous power. 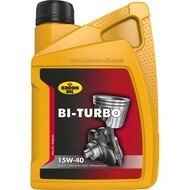 It reduces fuel consumption by up to 25% making it incredibly economical as well as reliable. Meet the needs of portable high-quality power . 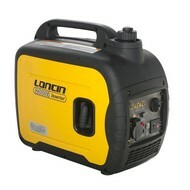 No matter driving and having a hike in the suburbs, or enjoying a beach camping, the portable and quiet clean power provided by LONCIN variable frequency generator will match your camping place perfectly and let you enjoy a wonderful outdoor life. When you want to have a variable frequency generator and bring convenience to your home or your working place , this generator can run electrical equipments which are very sensitive to power ( Surpass the grid electric supply quality )quality safely, and accompany you to enjoy the colorful life. 1、It uniquely possesses patented frequency doubling SPWM inverter technology, providing higher quality power output than normal VF technology could provide and the quality of power supply can reach international Class 2 standard for communication power supply. Its power supply quality is more transcendent than power grid quality and can serve as a field mobile power of high-end appliance and emergency power supply. 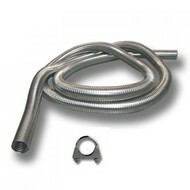 (Especially suitable for: laptop/tablet computer, stereo, TV set, microwave oven, electric grill, tent lighting). 2、Low noise: noise level is 52dB where is 7m away, 30% lower than that of ordinary generator set, which ensures quiet operation in office or for outdoor leisure. 3、Lightweight, portable and small sized: only 21 kg. 4、Fuel-efficient: the intelligent revolution control technology can achieve automatic regulation of engine revolution as per load conditions, saving 11% fuel for users. 5、Environment-friendly: meeting the latest USA EPA3 environmental emission standard. 6、Continuity: a tank of fuel can last for 4 hours continuously under normal power 1.6kW and can last for over 7 hours under intermittent operation. 8、As per different utility purposes, 2 generators can be used under parallel operation. Code connection can enable double output. 9、Operation panel can display generator status and some simple marks to indicate generator output, overload or shortage of oil. Status can be confirmed by indicator lights. Fuel capacity::7 ltr/ 4,2 hrs.